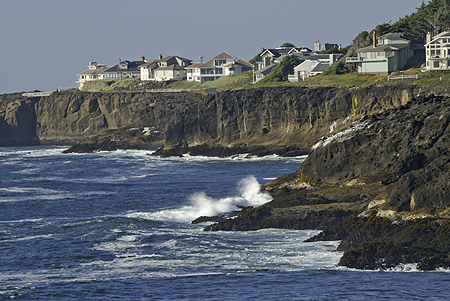 Oregon Coast Archives - Go Northwest! 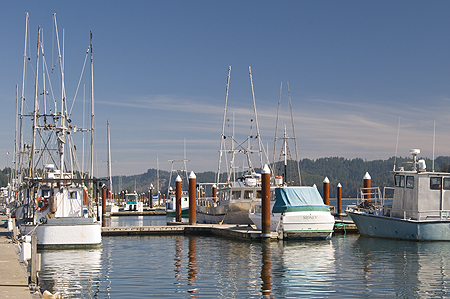 Old Town, a section of several square blocks down by the Siuslaw River in Florence, Oregon is a popular attraction whether the draw is for sightseeing, shopping, dining or all three. Of particular interest to me on this morning was coffee. A kind lady at the Chamber of Commerce Visitor Center mentioned I might find what I was looking for down in this area of town. 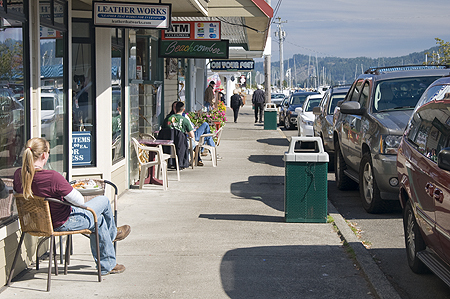 Sure enough, I found the perfect place at the Siuslaw River Coffee Roasters and Coffee House at the west end of Bay Street down near (almost below) the historic bridge built in 1936 that enables travelers cruising US Highway 101 to cross the Siuslaw River. The coffee house isn’t particularly large but patrons can chose from several seating areas including a leather couch in front of a stove, a small alcove where several can gather to pass the time of day or enjoy their coffee in privacy, a large table in front of the french doors leading to a deck overlooking the river, the deck itself which offers an array of several wrought-iron tables and good views of the river. On this particular morning, a small group of local residents were occupying what one patron called the “Alpha” table and visiting about who knows what. They apparently are participants in a regular gathering to chat about the weather, news of the day or just about anything that attracts their attention at any given moment. Standing in line to order my particular preference I happened to strike up a conversation with Rachel Pearson, a woman active in the local community who does a lot of volunteer work for schools and also occasionally contributes to the local newspaper. Rachel and I chatted for some time sitting out on the deck watching the river roll by. She told me about the move she and her husband, a physician, made from Wisconsin to Florence some years ago and how they have found a wonderful community here and particularly so for raising children. Rachel also shared with me a bit of the background and history of the coffee house. 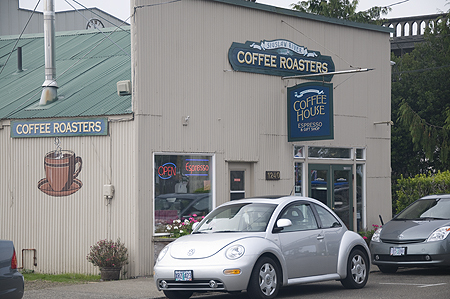 Owned by John and Kathy Stone, their coffee is roasted on the spot with a Diedrich 30-pound roaster that sits in a small room behind the service counter. The coffee is always fresly roasted and at a volume sufficient to supply the daily needs of their customers plus have a few pounds available for those may want to buy their beans by the pound. 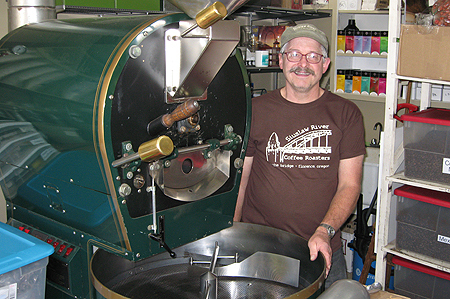 John Stone with Diedrich 30-pound coffee roaster. This entry was posted in Oregon, Oregon Coast and tagged Coffee Houses, Florence, Florence Oregon, Oregon Coast on October 8, 2009 by Jack High.